Why Use the VW Settlement for Clean Electric School Buses? For years, Volkswagen (VW) cheated U.S. federal emissions tests by installing special software called a “defeat device” into several of its vehicles, including the Audi A3, Jetta, Beetle, Golf and Passat. The device could identify when a car was undergoing an emissions test and would activate a change that reduced the vehicle’s emissions. Upon completing the emissions test, vehicles would return to “normal mode” and continue polluting at their regular levels. With the help of this device, VW deceived regulators by misrepresenting the amount of CO2 their cars emitted into our air. In 2016, the EPA and VW agreed to a $14.7 billion settlement. 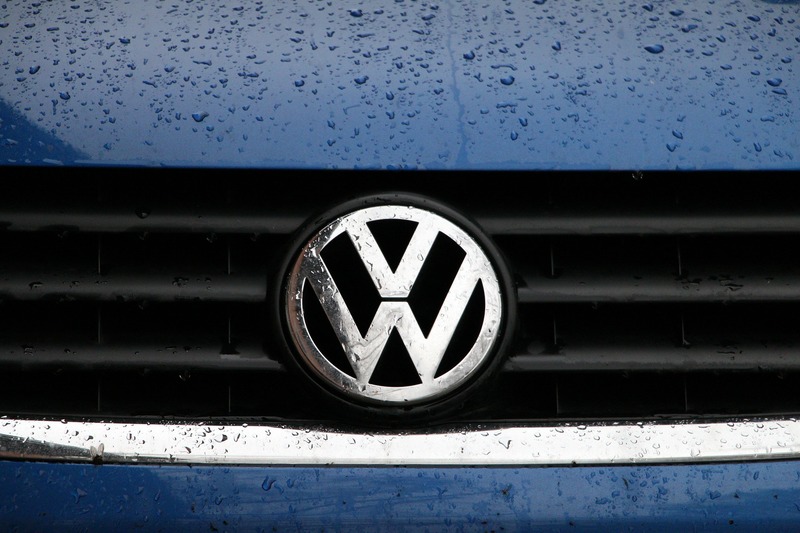 Approximately $10 billion was set aside for VW to buy back or repair their vehicles. Another $4.7 billion was set aside for mitigation, including $2.7 billion for an “Environmental Mitigation Trust Fund.” This fund is specifically designated for states to implement projects that reduce nitrogen oxide (NOx) emissions and initiatives that replace diesel fueled vehicles with cleaner, safer alternatives. Each state’s share of the fund will vary, based on the number of vehicles sold in that state. Arizona, for example, anticipates receiving $57 million while New York is expected to receive $127 million. Regardless, states across the country are putting together plans for allocating this money. Chispa, a Latino organizing program of the League of Conservation Voters, is organizing with communities and partners across the country, urging states to invest this money in clean, zero-emission electric school buses that will benefit our kids and help clean up the air in our communities. Chispa launched the Clean Buses for Healthy Niños campaign to get clean, zero-emissions electric school buses for kids across the country. Chispa programs in Arizona, Connecticut, Maryland, and Nevada first launched the hyperlocal campaign in April 2016 in their states, and it quickly expanded to New Mexico and New York with state partners. In September 2017, two years after VW was caught in the middle of the scandal, Chispa and over a dozen partners began mounting a national campaign to pressure all state governors to take action. Now, all across the country, Clean Buses for Healthy Niños is calling on governors and state decision-makers to clean up our air by using their state’s VW Mitigation Trust Fund to invest in clean, zero-emission electric school buses. Diesel vehicles, including school buses, emit dangerous pollutants like NOx into our air, which we then breathe into our lungs. NOx can act as an irritant gas and pollutant and is linked to various respiratory conditions as well as negative environmental effects. It is especially harmful to kids with developing lungs, as these pollutants can cause respiratory illnesses, aggravate asthma and expose kids to cancer-causing toxins. Across the country, our kids and communities are breathing dirty air. Cities like Los Angeles, Las Vegas, and New York consistently rank as some of the most polluted cities in the U.S. Furthermore, more than 125 million people in the U.S. live in counties with unhealthy levels of pollution. With pollution like this, it’s no wonder that so many people in our communities suffer from asthma. In fact, nearly 26 million people across this country suffer from asthma, including more than 7 million children. And that number is rising. Asthma leads to millions of lost work and school days as well as hospitalization, particularly among children. It also means increased medical costs for parents, less play time for kids, and emotional toil for families who must grapple with this deadly dangerous respiratory illness. This is even more true for low-income and communities of color where students and families are most at risk of breathing dirty air, and are disproportionately suffering from pollution. Clean, zero-emissions electric school buses will do more than clean up our air. These buses will serve as a long-term beneficial investment for public transportation and infrastructure. Although electric buses may cost more up front, they cost less to maintain over their entire lifetime, and each bus can save nearly $11,000 per year at the pump when compared to their diesel counterparts. Electric school buses will also reduce greenhouse gas emissions, primarily CO2 and NOx, by almost 80 percent. Replacing just one diesel school bus with an electric bus is the equivalent to taking 27 cars off the road. With fewer diesel emissions, kids and communities won’t be forced to breathe toxic pollutants that aggravate or increase incidents of respiratory illness. It will also be a big step in the right direction in the fight against climate change. We all have a right to breathe clean air, and by working together we can make this a reality. Join the #CleanRide4Kids movement and make your voice heard today by signing the petition to your governor. With your help, kids and communities can breathe easier, and we can have cleaner air and zero-emission buses now!